Thank you for all your comments and good wishes. 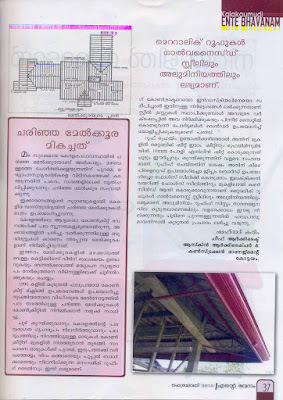 Interlocking bricks are available in building material stores throughout Kerala. To know more about Interlocking Bricks, you may contact manufacturing centers in each district. They can provide strength test reports and modes of construction. Interlocking bricks can be used to construct Load bearing walls upto 2 floors. By providing beams and columns, they can be used to construct non-load bearing walls for many floors. Although Interlocking Bricks are manufactured in various sizes, the popular dimensions are- 6”x4”x10” and 8”x4”x10”. This article contains most valuable information for who is interested in cost effective construction. 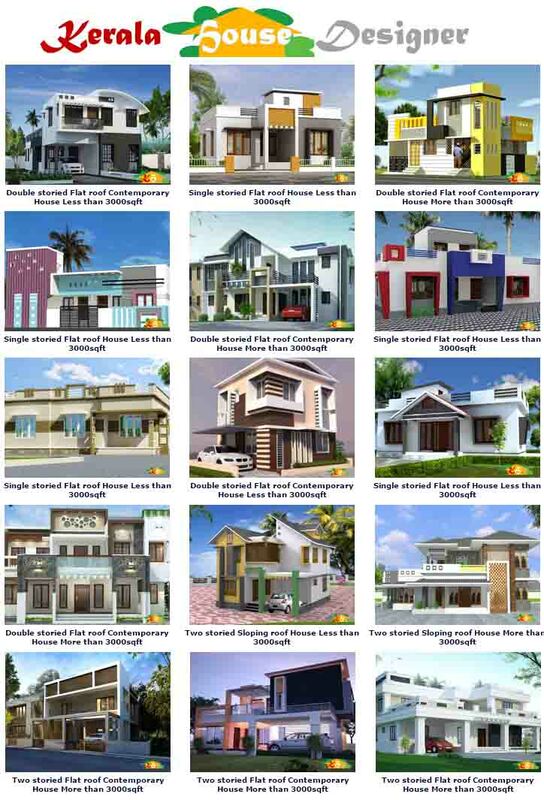 Requesting to all please provide the details of the brick manufacturers. Little sceptical about this concept, unless see a finished structre. Will be a great progress if it is true what is being claimed. Thanks for the information though. It is realy a valuable inforamtion. Please post or send me a mail about the manufacturers address. I want to contact the suppliers for possible distribution in Bangalore. Please give contact details. Even though the idea is good what about the yearly maintenance of protection of wall, similarly the safty aspect. 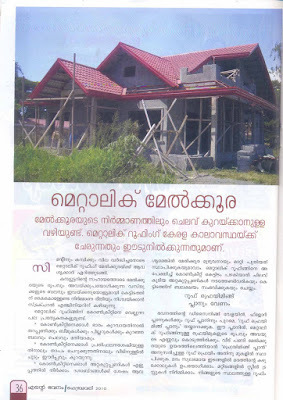 Though I reside in Delhi and planning to build a home at Kerala, I get useful and effective infmn from KeralaArchitect.com. Thanks dears and this cost effective measures to build a house is very useful. Pls carry on. What about the strength of the structure and how many floors can be constructed using this? Thank you very very much your Information, Du you have any Experienced person to explain this matter. I really appreciate your suport. I am keep waiting your reply. Thank you for this useful information. Is it possible to use this interlocking bricks for a 2 layer building?. Could you please give the details of interlocking bricks manufuactures? Thank you, Mulla K Abdul Shukoor. Technoseal Damp Proof Paint provides a waterproof membrane, used for water-proofing walls. 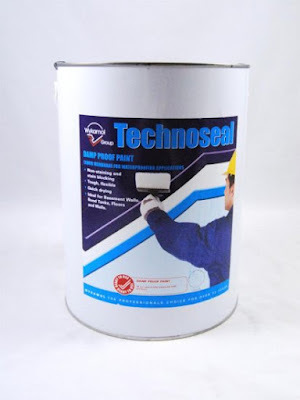 Technoseal DPM is fast drying and can be applied to sound masonry by brush, roller or spray. Non-toxic, non-hazardous and solvent free liquid damp proof membrane suitable for walls both above and below ground. Floors: Under/above screeds to provide a damp proof membrane. Basements: As part of a waterproofing system beneath ground level. 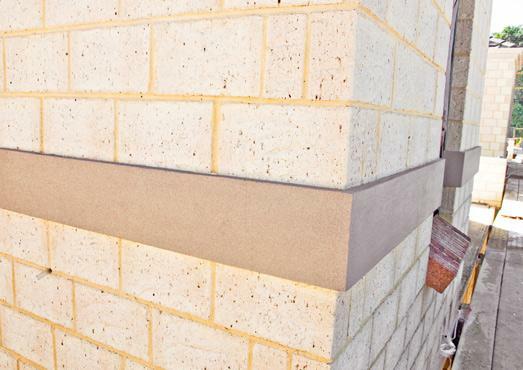 Walls: Can be used under render or plaster as a water barrier or vapour barrier. Tiling: As secondary protection under tiles in wet areas e.g. bathrooms, food processing areas, balconies, etc. Water Storage: The membranes perform well in our tests even when continuously immersed in water. Silage Storage: The membrane protects concrete from silage attack. A minimum dried coating thickness of 0.6mm is needed to provide a physical barrier. This should be applied in a minimum of two coats (i.e 0.3mm per dried coat) This corresponds to approx 1.2kg/m². 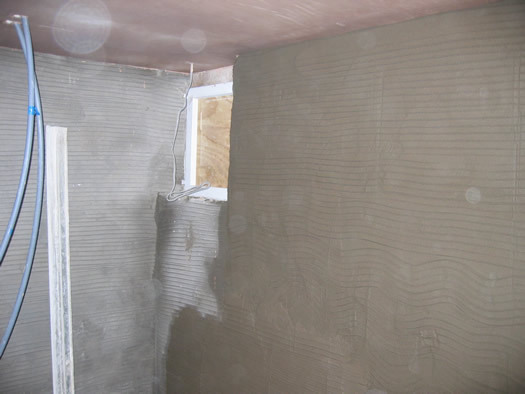 Plastering plays an important role in good construction. Just as skin gives shape and texture to the body and protects it from the harmful environment, plaster protects the house from damage caused by salts, acid and rain in the external environment. It also makes the house look beautiful and attractive. Often people complain of cracks on walls after plastering works. One of the reasons cited is lack of proper cement-sand ratio. Normally, for outside plaster, the cement-sand ratio can be from 1:4 to 1:5, for internal plaster from 1:5 to 1:6 and for roof plaster from 1:3 to 1:4. For better results, check that the mason use a 1:4 ratio on mortar of cement and fine sand. For coarse sand, the ratio can be changed to 1:6. However 1:4 mix is preferred for best results. Make sure that the mason has not prepared the mix all together for the whole day. The mix must be prepared only in small quantities such that it is used up within an hour. 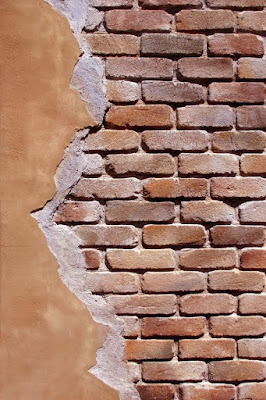 If excess mortar is prepared, it dries up due to evaporation and remixing deteriorates strength and increases porosity. The risk of cracks may be minimised by the use of relatively weak mix for finishing coat, avoiding excessive proportion of very fine material in the finish coat and avoiding excessive trowelling on the surface. A major precautionary measure to be undertaken prior to plastering is to remove loose mortar and grease from joints. Another important task is that the wall should be wetted for a few hours. The walls should not be soaked but only dampened evenly. Plastering on wet walls is seldom satisfactory because key is not formed between the plaster and the background surface. In an ideal state the background should be in saturated surface dry condition. A good key is essential for successful rendering and for avoiding cracking and crazing. All joints in the masonry should be raked out to a depth of at least 12 mm with a hooked tool made for the purpose while the mortar is still green and not later than 48 hours of the time of laying. The addition of water should be carefully monitored. Excess water will cause shrinkage as well as low strength of plaster. Waterproof compounds, if used should be uniformly dispersed and mixed properly. Use a chicken wire mesh while plastering joints between the concrete work and brickwork. Plaster should be finished with a wood, felt, cork or other suitably faced float. A steel trowel shall not be used. Ensure continuous curing for 10 to 14 days. 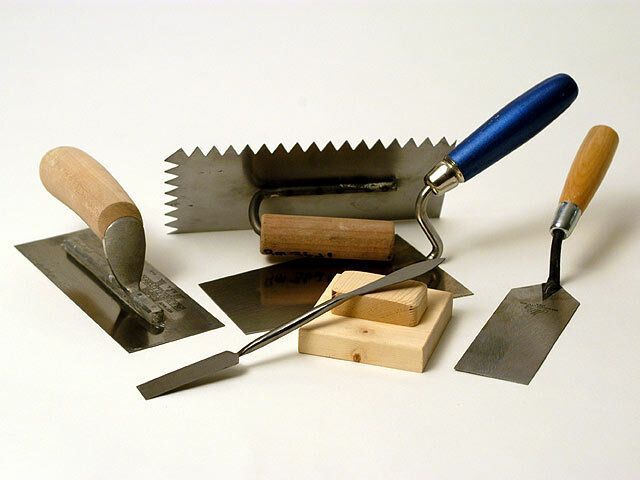 When plastering is done in two coats, the first coat should be left rough and open from edge of the laying trowel and after it has been left long enough to set firm, the surface should be combed or scratched to form a key for the second coat. The first coat should be allowed to dry for three to five days before subsequent coats are applied.